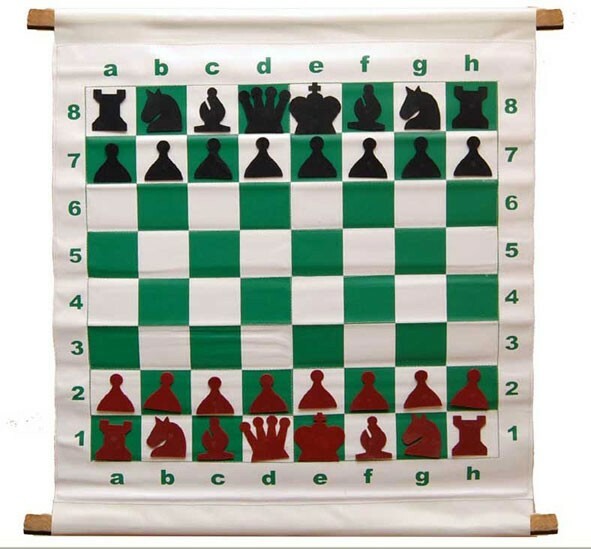 The 28” Magnetic Chess Demonstration Set is the ultimate tool for teaching, group analyzing and displaying tournament chess games in progress. It features 3" squares and comes with large black and red pieces that are easy to see from a distance. Unlike traditional demonstration sets, where the pieces have to be inserted into the board, it uses magnets to safely secure the pieces. The included bag is made of durable material and has a heavy-duty zipper closure at one end of the bag. It includes an adjustable handle for carrying convenience and keeps the demo board tightly packed and protected. Add Extra Magnetic Demo Pieces?